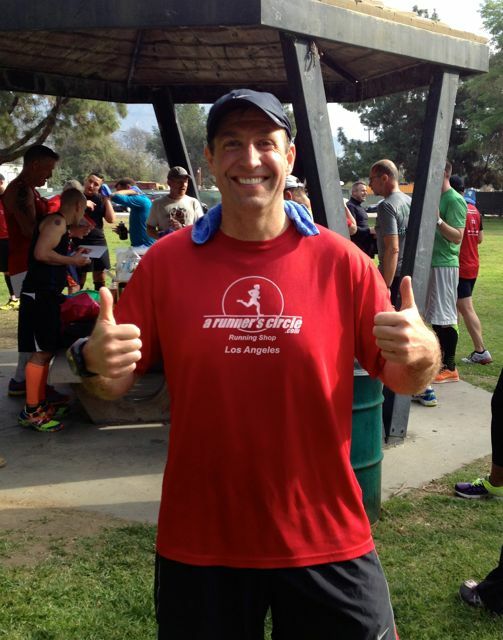 Last week I did my largest training run in preparation for the 2014 LA Marathon. My T2 brothers/sisters and I pounded out 23 fun-filled miles. And today we got to hear the word that evokes joy and dread alike from runners. We are under two weeks away from “M-Day” (March 9th) and now it’s time to step off the gas and taper for the race. As we’ve been told time and again, we are ready for the marathon and nothing we do in the last two weeks will really prepare us any better for the race. But you can mess things up. Save it for race day. Tapering is a key component to race prep. I have to admit it’s a little hard when you’re feeling at your prime to take it easy, especially if you’re a competitive person like me. I always like to push myself and see what I’m capable of… but this is neither the time nor the place. So, today’s training consisted of a lengthy pep talk and a prep talk about what to expect in the last two weeks up until race day. And then we followed that up with a casual 10-mile run through Griffith Park. My legs felt great and I kept wanting to turn up the pace, but that little voice in the back of my head kept reminding me what I already knew. With my run in the can, it’s time to go about my weekend, remembering not to overdo things in these last two weeks. Hell, next Saturday we drop down to an 8-mile jaunt for our last training run (I barely consider that a long run). That’s really going to be a challenge to keep things mellow. I’m ready to run the marathon and anxious for race day like a kid counting down to Christmas morning (just with less tinsel and more chafing). And I’ve only got two presents on my wish list: a 2014 LA Marathon Finisher’s Medal and a sub 5-hour PR. But to do that, I need to remember to listen to that little voice in my head and save it for race day. Boy is two weeks a long time. Posted on February 22, 2014, in General. Bookmark the permalink. 3 Comments. I like your “save it for race day” mantra. Will definitely keep it in mind for the rest of the week (I’m also tapering). I’m sure I’ll be saying that to myself countless times over the next two weeks. Fortunately you only have one taper week for your race, right? Yes, that’s enough for me for a half.